The Whimsical Creations range is an aptly-titled celebration of the fertile imagination of self-taught artist Laurel Burch. Burch was a "flower child", selling handmade jewellery on the streets of San Fran in the 1960s. 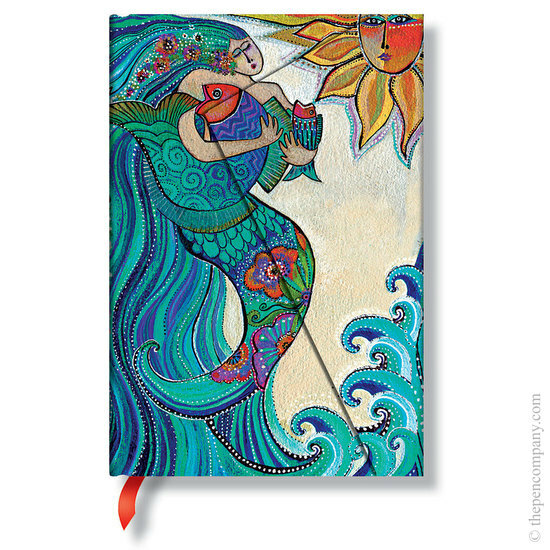 Mermaids and hummingbirds feature in these typically vibrant and beautifully adorned journals.